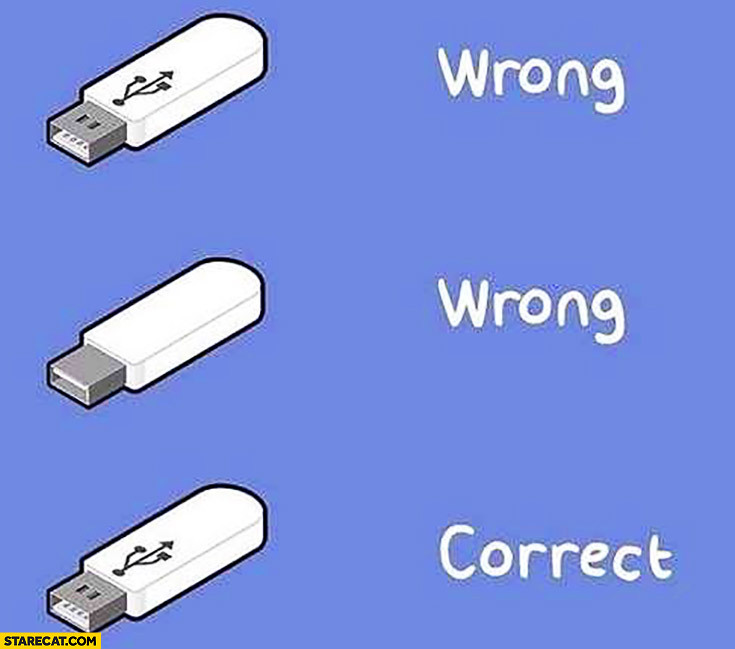 You've all probably experienced this at least once: trying multiple times to plug in a USB stick correctly, because somehow it isn't intuitive what side goes up. This is especially the case when the USB stick in question hasn't been yet used by the user. But it can also happen with sticks that the user is already familiar with, as confirmed by the experience of the writer of this post. Here are some pictures that illustrate this common experience. So what's wrong with the design of a USB stick that makes it not intuitive enough to plug it in correctly the first time? In my experience a USB plug needs a bit of pressure to go in the port. It’s enough pressure to make me wary that I might break it if I’m putting it in the wrong way. After reversing the plug, it becomes obvious that it does not fit at all. This observation allows me to flip it again and now apply more pressure with confidence. Most plugs or ports have a flared edge, beveled plug or some other design that allows for the orientation of the plug to be slightly off and still match. USB doesn't. Oftentimes, the first attempt will cause your plug to be aligned too high, slightly twisted, or some other orientation that doesn't allow it to go into the jack. Most USB ports are surrounded by plastic, where you might have the plug touching the edge of the plastic at some corner, and you assume you had it upside down. When you flip it, the fiberglass circuit board edge inside the plug hits the fiberglass circuit board in the jack. This causes the plug to shift to an angle up or down, and you are certain it is upside down. Now when you flip it again, you are more certain that you have it the right way and you shift it around within the plastic hole in the case until it plugs in. I'm surprised that so many of these answers are addressing the consequences of poor design without discussing what made it a poor design in the first place. The issue at hand here is that the USB devices have a correct orientation and that correct orientation is indistinguishable from the incorrect orientation. 2. Feedback. There is full and continuous information about the results of actions and the current state of the product or service. After an action has been executed, it is easy to determine the new state. 5. Signifiers. Effective use of signifiers ensures discoverability and that the feedback is well communicated and intelligible. Mappings. The relationship between controls and their actions follows the principles of good mapping, enhanced as much as possible through spatial layout and temporal contiguity. The USB Icon is embossed, in a recessed area, on the topside of the USB plug. This provides easy user recognition and facilitates alignment during the mating process. ..but I'd argue that that's not enough for two reasons. First, that specification is easily ignored by USB manufacturers. Second, even with an embossed icon, you haven't communicated to the user what the correct orientation is unless they already know that the icon signifies orientation. A USB icon just looks appropriate on a USB device and isn't going to be noticed by a normal user as an intended signal of information. Bedrooms often have an outlet which is controlled by a light switch in the room. To signify that that outlet is the one controlled by the light switch, it's often installed upside down. To someone who's aware of this relationship, this is helpful, but to someone who isn't in the know, it's up to chance that they discover it themselves or are informed of it. Same with the USB icon. It shouldn't have been expected that people would know what it meant. When external signifiers—signs— have to be added to something as simple as a door, it indicates bad design. If something as simple as a cable needed an icon to indicate which orientation was correct, it was already poorly designed. The solution? Either make a cable that's reversible or remove the misleading symmetry. The underlying problem, as I think we all know, is that the tactile feedback you get with an incorrectly oriented plug is hard to distinguish from the tactile feedback with a slightly misaligned plug. Given that, your question can be reformulated as: why do many (most?) people mistakenly assume the orientation is wrong when they actually just need to keep trying to get the alignment right? Best guess: deciding which way round to hold the plug (and attempt to insert it) was a conscious decision; and since it's hard to predict which way round will work it was also a provisional decision. We have doubt that it was correct, so we're predisposed to try it the other way. Of course we're consciously aware of our failing attempt to insert the plug, and we're trying to get the alignment right, but the ambiguous tactile feedback isn't giving us reason to reject the preconceived notion that the orientation might be wrong. So we give up sooner than we should and flip the plug over. Another part of your question asks why the USB designers didn't anticipate this problem. I would observe that the ports USB was intended to replace either had a clearly visible "up" (the D shaped parallel, serial, and game ports) or good tactile feedback for "up" (the round keyboard and mouse ports) or both. The USB designers may have simply underestimated the potential for a problem those ports didn't suffer from. That's taken from the USB 2.0 specification, but similar wording has been present since the earliest USB versions. Receptacles should be oriented to allow the Icon on the plug to be visible during the mating process. It's not an issue of poor design on the male USB - it's that there's no fixed orientation for the port. When I plug my mouse into my laptop, I get it right every time. But when I plug it into a desktop, there are (in general) three possible orientations for the port: left, right, up. Because of this, it doesn't feel like I can ever get it right all the time. 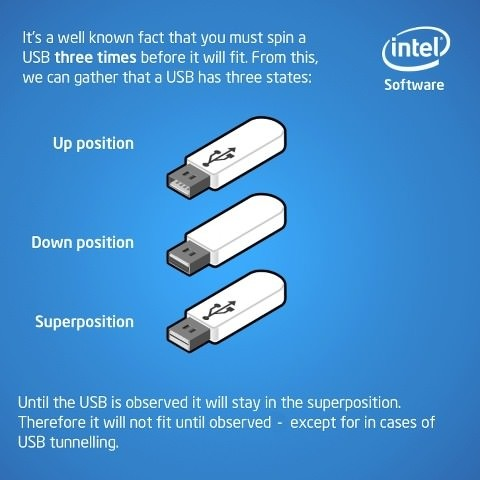 If I haven't spent time examining lots of computers, there's no reason why I might think that the 'down' orientation is impossible, and so I have to examine both the computer's port and the USB to get it right the first time. Because of this, it's less effort overall to just attempt whichever orientation I happen to be holding it in. That's where we get to what others described. Problem #1: On USB type A, there is a wrong way. This is alone is a design problem. Headphone jacks, most car keys, non-polarized 120v power plugs, and the newer USB type C connectors don't have this problem. Problem #3: The USB type-A jack and plug support a very limited range of self-alignment combined with poor tactile feedback for any condition other than correct insertion. This results in users thinking they had an incorrectly oriented plug, when in fact the orientation was correct. As a counter example look at the typical door lock, and notice the indentation in the center of the keyway designed to catch the tip of an incorrectly aligned key. This aids the user in wiggling the key into the correct orientation. If you matched the two flats together then the plug and its plug socket were correctly orientated. The way I see it, it's a bit like docking to the Space station. There is one way to do it right. It seems easy, but a slight misalignment requires you to try again. I believe this is because , on the third try, you've become frustrated and are now paying close attention to what you are doing. That, then, makes the alignment (and orientation) correct with the right amount of pressure. Just selection bias at work here. You don't notice when it works correctly first time, or when you just have to flip it once. Instead you notice when due to a slight misalignment you end up having to flip it over twice. I can't really speak for others but in my case the problem usually, at least partially, comes down to the dark colors used in USB ports. In some ports the plastic part inside the socket (where the contacts are) is white and then it's quite easy to see which side of the port it's on and orientate the device/cable appropriately, but often it's black or dark gray and then in the darker lighting closer to the floor where most computer towers/cases are it's difficult to see which side it's on without bending down to look at it more closely. In the case of an eye-level port that I can see easily I don't usually have any difficulty getting the orientation correct first time. Combine this with the tactile feedback, as others have mentioned, and the fact that the plastic part of the socket is weak and prone to breaking (at least I imagine it that way), and I am usually hesitant to push it too hard even if I think that the orientation is correct (knowing that, if the orientation is incorrect, I may well damage the port). So it's difficult to feel if the orientation is correct in cases where it's hard to see. And in some cases shoving the connector up against the metal "rim" around the port provides a similar feeling, if the device/cable is misaligned. Also worth noting that this has never been an issue (for me) with horizontally-orientated USB ports. "Upside-down" ports may well exist, but for all the horizontally-orientated ports that I've seen the device/cable connects "right-way up" (i.e. with the label/markings/etc. on top - similarly I have not yet come across a device where the markings are "underneath" in relation to the USB connector). Vertically-orientated USB ports are a problem because there doesn't seem to be any consistency as to whether they are orientated "left" or "right". There's no gate('funnel') in the port to ensure that it would slide in smoothly. Therefore, on the first try it is quite easy to hit the sides of the metal surrounding the bracket making you turn it around and try again(this time the wrong side). It doesn't help that the bracket itself quite often sits 1-2mm inside of the device. The spec and reality of how it is used doesn't really leave space for such a gate to exist as well. Part of it is just that it was good enough when introduced, it's a lot easier to get in without fiddling than a db9, db25, pc joystick connector or even the ps/2 connector. I've found checking for the stripe indicating the join in the plug's casing to be a good indicator of insertion orientation (try saying that five times fast). More generally the plug requires orientation, but doesn't provide much in the way of an indicator at insertion time in the plane of view. 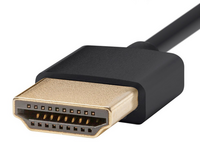 Many other plugs do, but they tend to be more elaborate, such as with HDMI and DisplayPort. On USB 1.x and 2.0 ports/plugs the internal plastic carrier for the contacts is typically made of black plastic, and thus quite hard to see inside an unlit cavity. 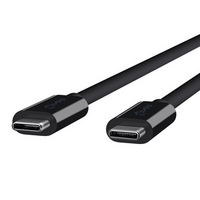 USB 3.0 chose to make the plastic blue to help indicate that the port is capable of higher performance, and inadvertently made inserting devices easier by making it easier to see which way the port and plug are oriented. Not the answer you're looking for? Browse other questions tagged physical intuition product-design or ask your own question.